Thursday, April 18th Bring-A-Friend Day! CFM Bring-A-Friend Day! Invite a friend or family to join you for a beginner friendly partner workout. Send us their full name, contact email and the time you will be attending to reserve their spot in advance. #BYOF Bring Your Own Friend! Thursday, April 18th 8:45 pm Join us for a special edition BAF Yoga on Thursday evening starting at at 8:45 pm. Saturday, April 20th 7:30 pm CFM April Babies Party at Fado's! This is open to all CFM members and guests. Come to Fado's to celebrate all our birthday's in April and meet your fellow CFMers for a fun night in Midtown! Thursday, April 25th 8:30 pm: CFM Avengers Endgame Movie Premiere. We are assembling an incredible team of CFMers to see the 4th installment of the Avengers when it premieres!! We have a group of tickets for sale and a reserved section of seating for for the evening showing on Thursday 4/25 at Midtown Art Cinema. Sign up for your ticket now at the front desk or click here for details! 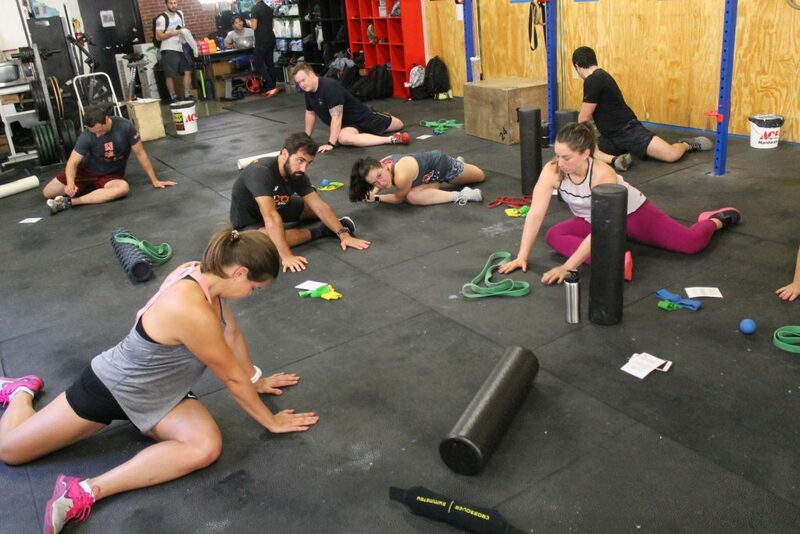 Saturday, April 27th: CFM Marvel Galaxy Team WOD. During the morning group classes we will be doing a Superhero WOD inspired by the heroes from the Marvel Movies. Wear your CFM or Superhero Shirt to come workout! #CFMersAssemble!! Sunday, April 28th 12:15 - 1:45 pm: Handstand and Inversion Workshop. In this workshop, Yoga Instructor Priscila Baptista will be guiding us through progressions and drills for getting inverted including arm balances, headstands, and handstands. Time to get upside down! !